A part of our team met with active members of Common Law Society on Friday 14 October. Our academic director Jan Komárek introduced himself alongside with his vision for future cooperation. Over a delicious dinner, we had also an opportunity to discuss some new organisational developments. It seems that you can look forward to meeting some new faces in our team next year. 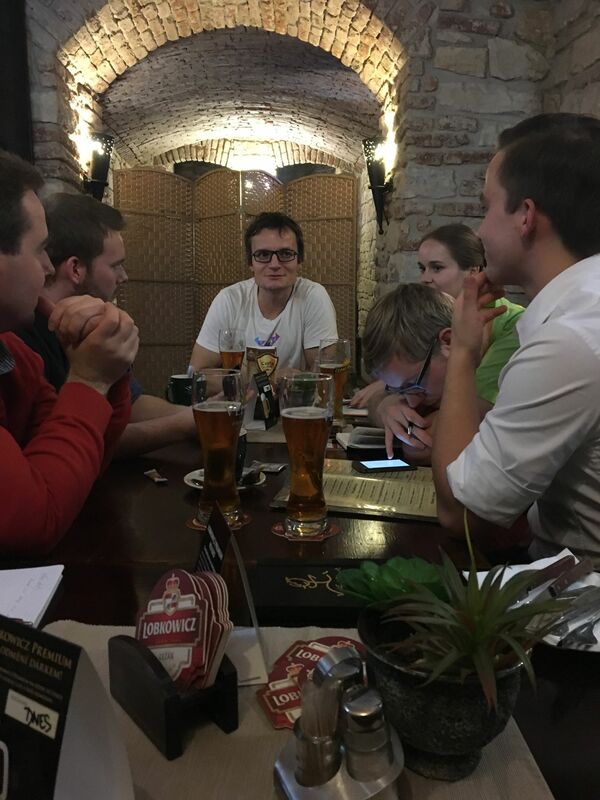 Jan Komárek discussing the summer school with the team members as well as with active members of Common Law Society.